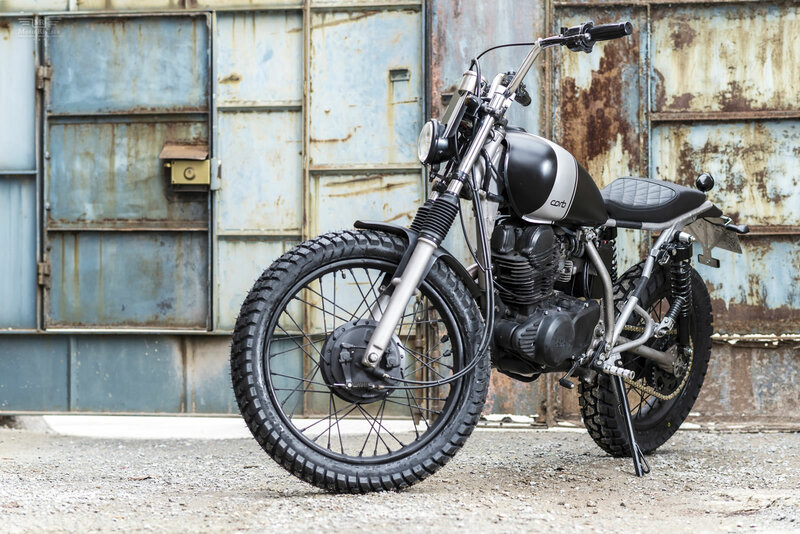 I can tell just by looking at today’s feature bike the owner of this custom Yamaha SR250 by Corb Motorcycles would be having one hell of a ride! 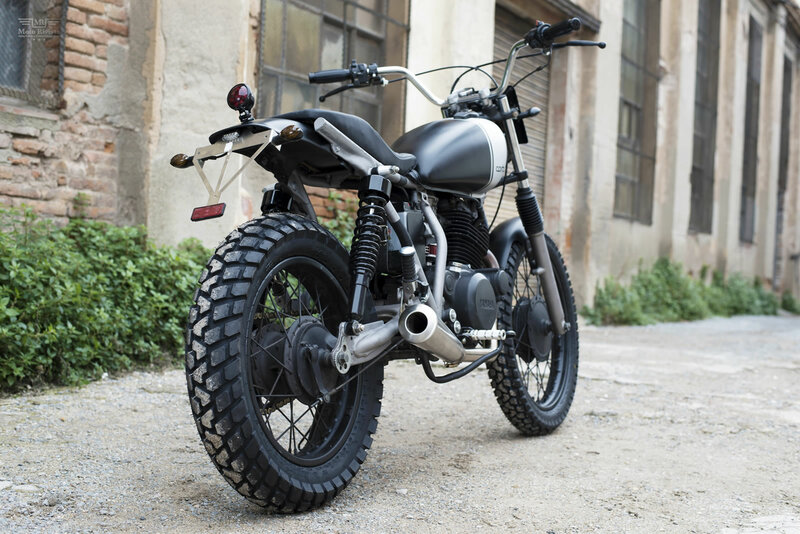 Built by the new workshop of Santi Garcia called Corb Motorcycles in Barcelona, Spain. Santi was originally part of La Corona Motorcycles. Today his new workshop Corb Motorcycles is born from the passion of making personalized motorcycles. 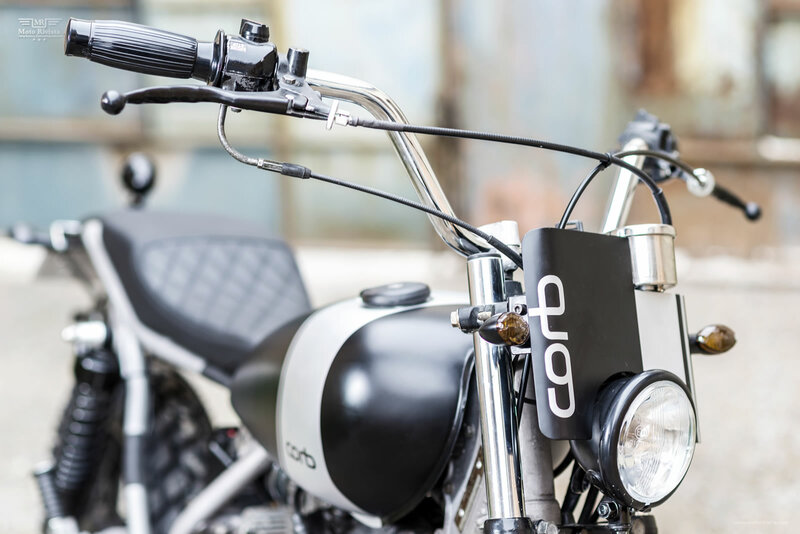 The Corb Motorcycles lifestyle is reflected not only in their work but also in the spirit of the brand, a mixture of elegance and rebellion at the same time. 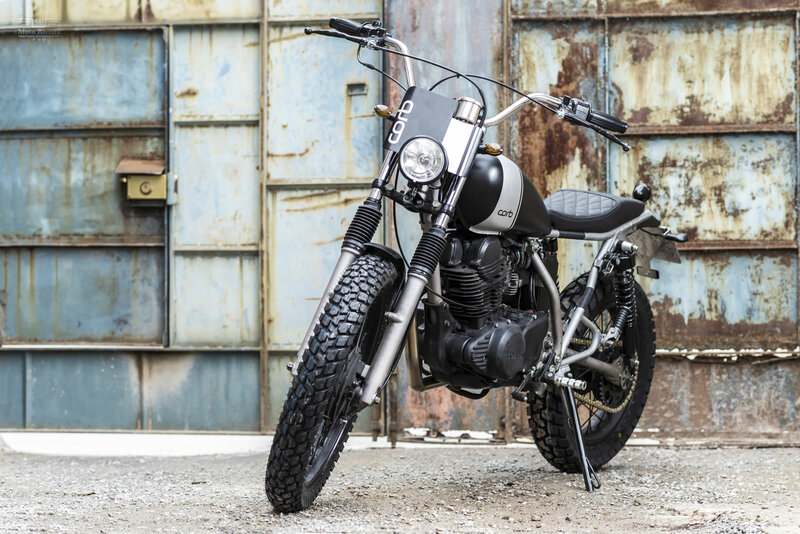 Today’s feature bike is Corb #2 a Yamaha SR250 custom named Bielsa. “Located on the outskirts of Barcelona, we feed off this cities passion for two wheels, turning Barcelona into the biker city par excellence in Europe. But also, distinguishing yourself from the rest, becomes a necessity to the individuality in each of us. 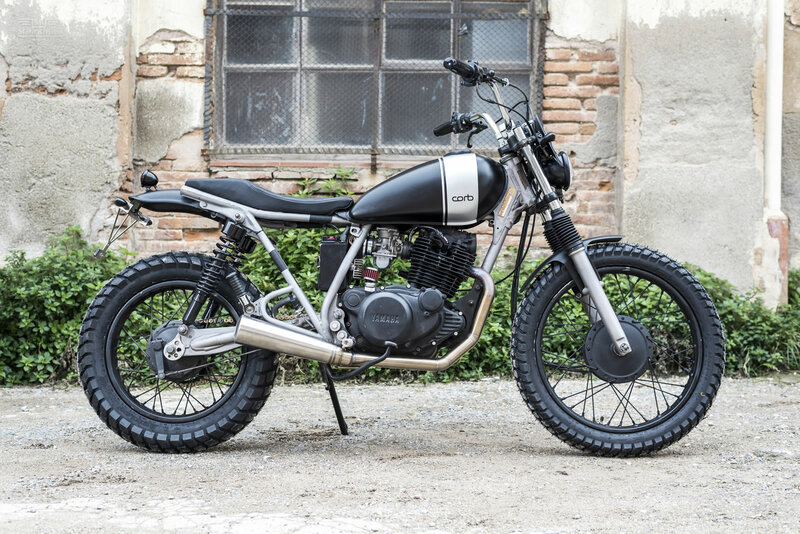 That’s why, for those who want a bike rebuilt and redesigned by Corb Motorcycles, the motorcycle is not only a vehicle to move around, but also an extension of themselves and a reflection of what they want to show others. It’s just Corb Motorcycles, a unique project to express class and style in its pure state. We want to design and create your dream bike. Turning into a renovated bike you really like and are proud of. Corb Motorcycles essence is a shake of elegant line, sober colors and special dedication to details. 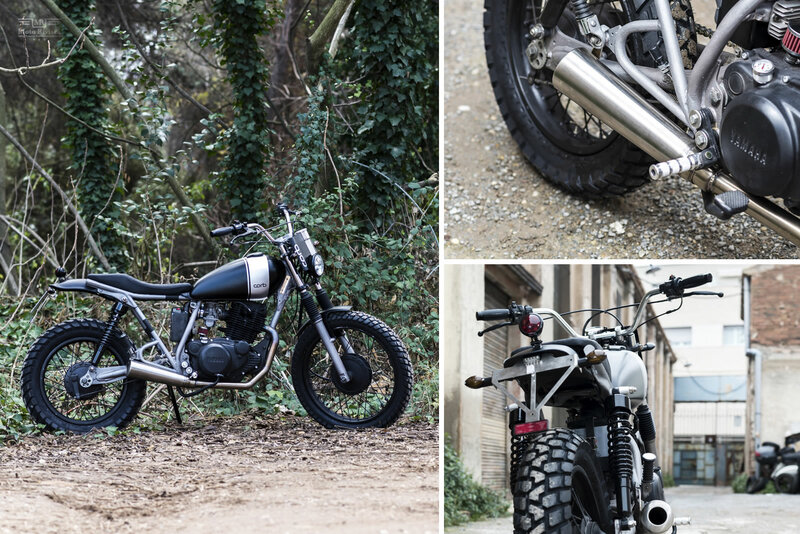 The brief for this bike was to build a Dirt Tracker with ‘elegance’ that was as far away from the original donor (Yamaha SR250) as possible in its look and feel. The bike needed to be completely rideable, as this was to be the owners first bike. The customer wanted a Café Racer, but he’s so tall, and I didn’t want to make a ridiculous bike for a strong man! The biggest challenge was to build a different project with a Yamaha SR250, without lots of “typical” tips of the Yamaha SR250. I really think it’s so close to what I had on my mind! All the project was my idea and the customer was always open to my opinions. This is fantastic, because I had the opportunity not only to build a different bike, but also the perfect bike to match the customers needs. The bike has been graced with new wheels, wearing chunky Dunlop K460s. The rear shocks are upgraded items from Hagon. The sub-frame hasn’t been looped at the rear but it easily accommodates the new handmade custom seat with diamond-stitched upholstery. There are new lights in the front and back, with mini speedo, mini indicators and a mini oil temp gauge. One things for sure there must be something in the air in Spain. The customs are always clean, well thought out and executed beautifully. 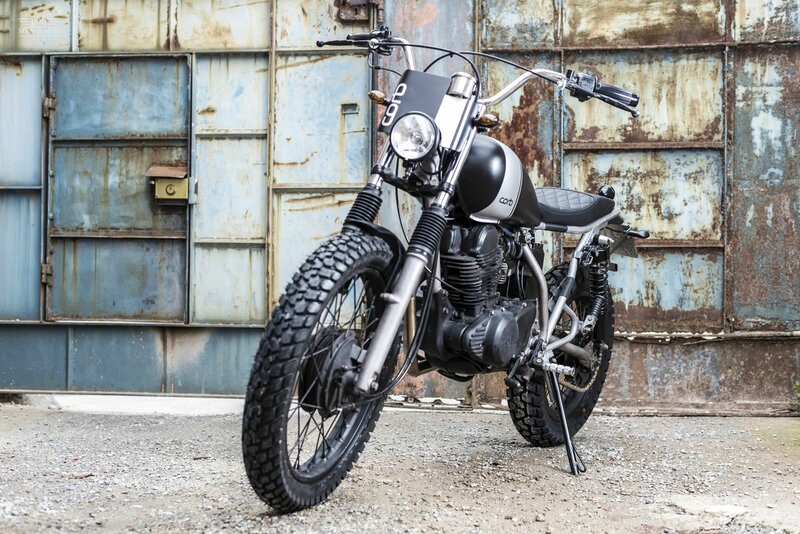 We look forward to watching what creations roll out of the Corb Motorcycles garage next!